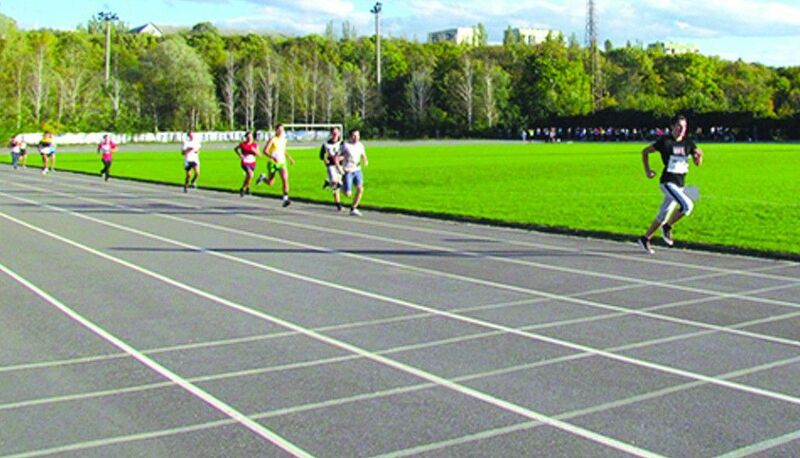 At the Technical University of Moldova sports activity and discipline “Physical Education” are the main levers by which in students are formed a conscious attitude towards their own body and general and special physical self-improvement exigencies. Educating students’ multilateral personality through plenary social integration, the Department of Physical Education has proposed to implement the educational and training programs based on scientific research and advanced training methods of athletes. 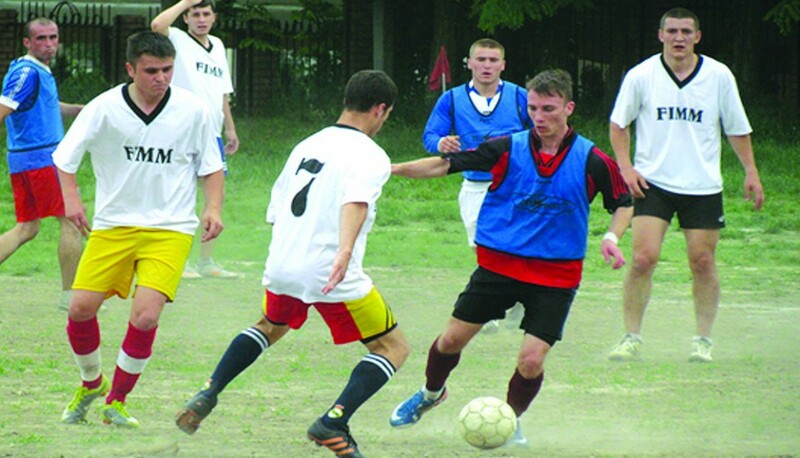 To ensure the quality of the educational process and extracurricular activities, the academician Sergiu RADAUTANU, the first rector of the Polytechnic Institute, and his colleagues, invited as physical education teachers of the Department qualified specialists from republic: Gheorghe MOCANU (football), Matvei and Nona LIPOV, Valentina FOMINA, Victor ZVIOZDIN (basket-ball), Vasile CEBAN and Vladimir SIMINEL (volley-ball), Leonid MORARENCO (handball), Fiodor SEVCENCO and Ivan COSENCO (gymnastics), Nicolae ZAITEV and Petru RUSNAC (freestyle and Greco-Roman wrestling), Constantin ZGHEREA and Lilia CUCER (athletics) and many others. Thanks to the hard work of the Department teaching staff in a few years after the founding the Institute appeared the first performances. 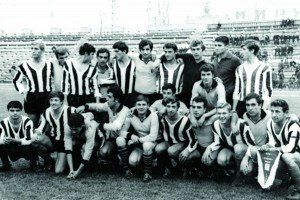 The football team “Politehnica” succeeds in 1967 to obtain the title of champion of the Moldovan capital, and in 1968 became MSSR vice champion. 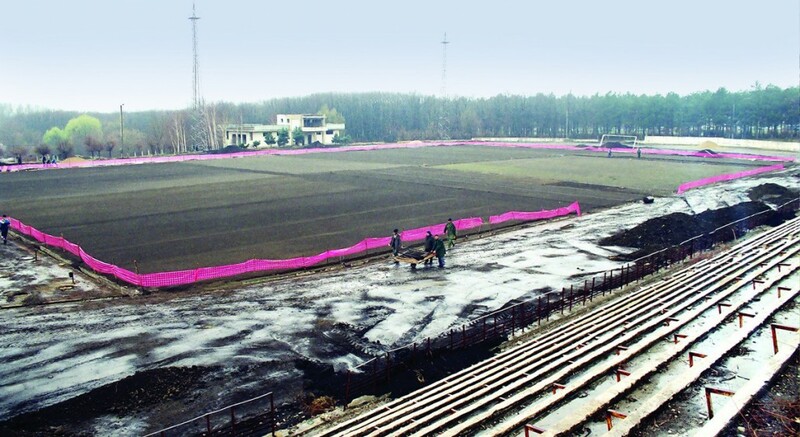 Subsequently, two years consecutively,it held the title of champion of MSSR and in 1972 won the MSSR Cup. The football team “Polytechnic” was also known outside the country. 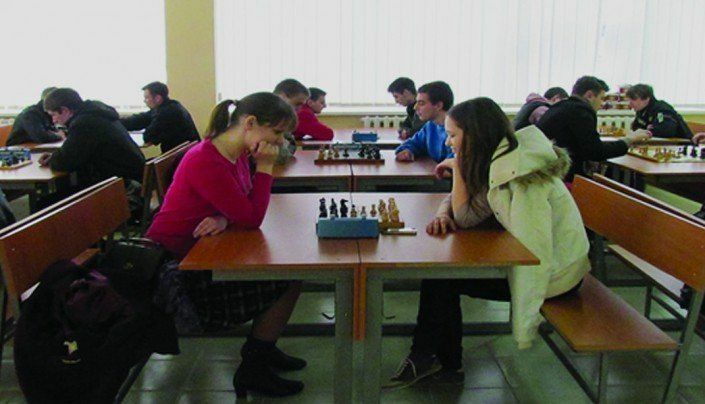 The students performed the annual tournaments in competitions in Baltic Republics (Vilnius, Kaunas, Tallinn), Russia (Leningrad), Romania, Bulgaria etc. 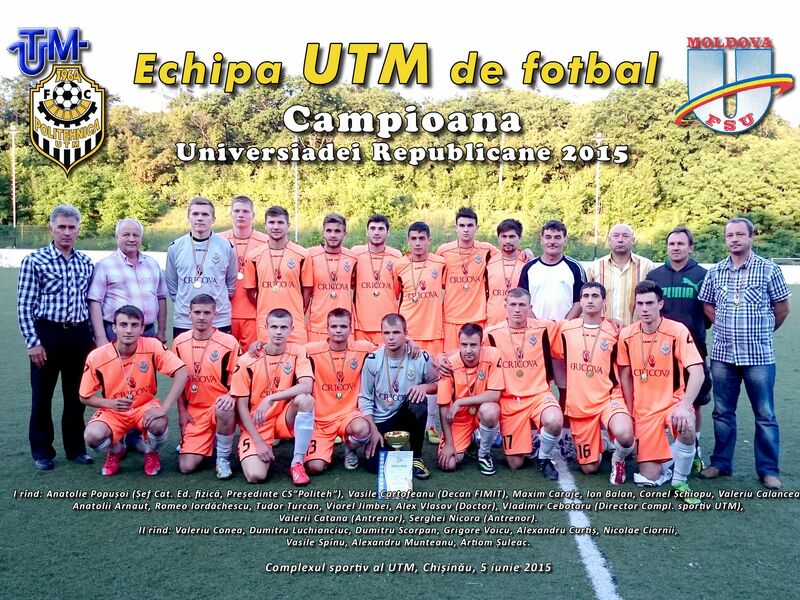 Currently, the football team is headed by Sergei Nicora, senior lecturer, who successfully continues the polytechnic football traditions by taking part in National Championship, municipal Championship, Republican Universiade, the competition for the first rector Cup – Sergiu RADAUTAN. The relay race of the football players performance was taken over by basketball players. 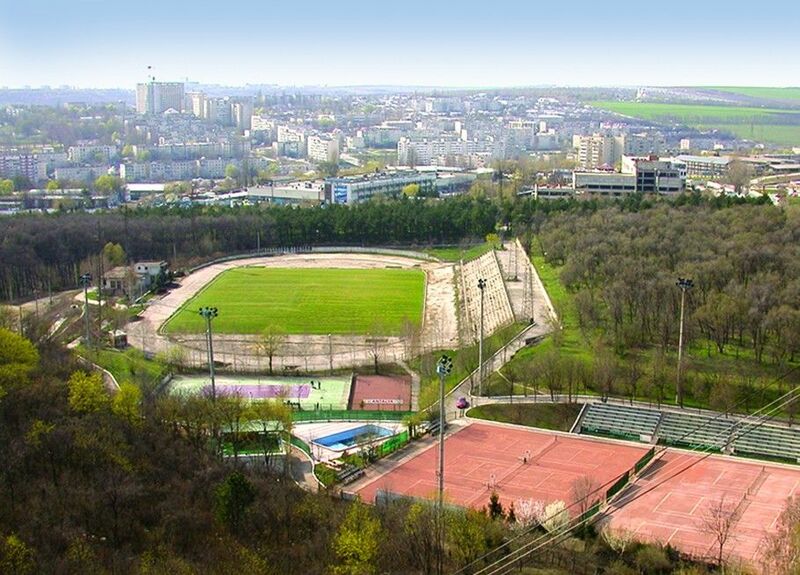 However, Moldavian basketball development started practically at the Polytechnic Institute. 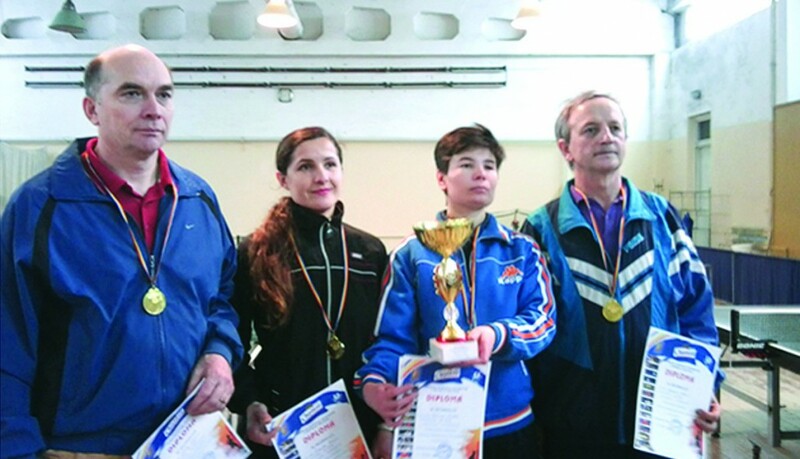 Matvei and Nona LIPOV, Vladimir LUCASENIN, Vladimir MISUSTIN worked with dedication and in 1972 in Tbilisi, Georgia, the men’s team “Politeh” occupied the II-nd place at the Student Games of the USSR. 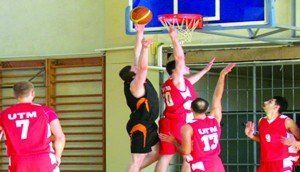 In 1974, in Minsk, Belarus, in the same competition they become champions and in 1976 in Gomel, Belarus, in the Universiade Union, the team of MSSR occupied the second place. In 1977, the team “Politeh” occupied the II-nd place at the USSR Championships, Division “A”. The High performances achieved by our students have made the team “Politeh” to participate in Republican Championship with 2 teams. In 2006 the leadership of the team was taken over by Olga MACOVCHINA senior lecturer, master of sports, specialist with extensive player practice in different international teams. 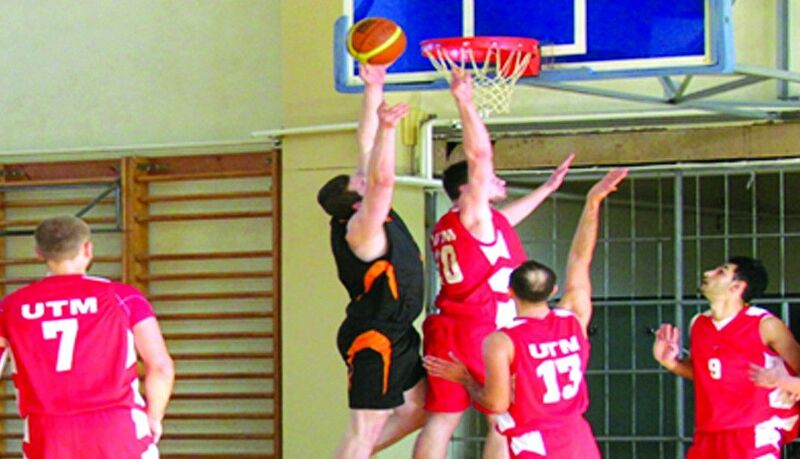 In recent years, the TUM basketball team successfully participates in championships and national cups, winning the first places. 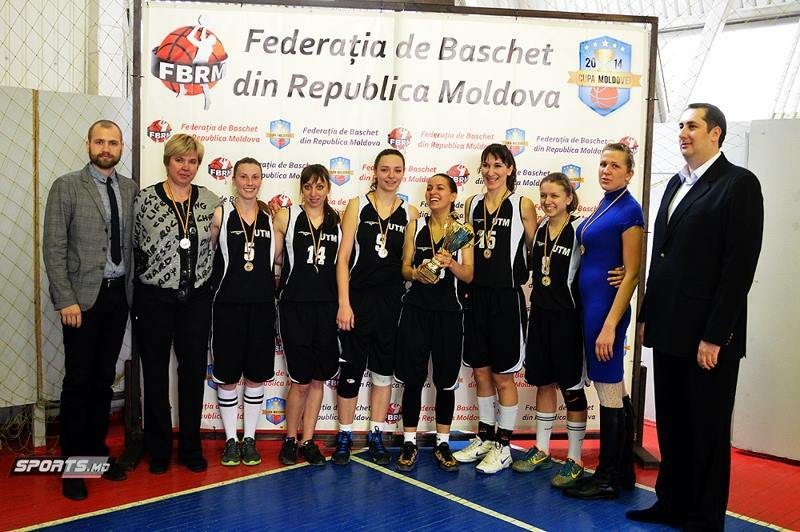 Thanks to the efforts of coaches Victor ZVIOZDIN, Nona LIPOV, Valentina FOMINA up to the mid 90s meritorious successes were recorded by the female basketball as well. 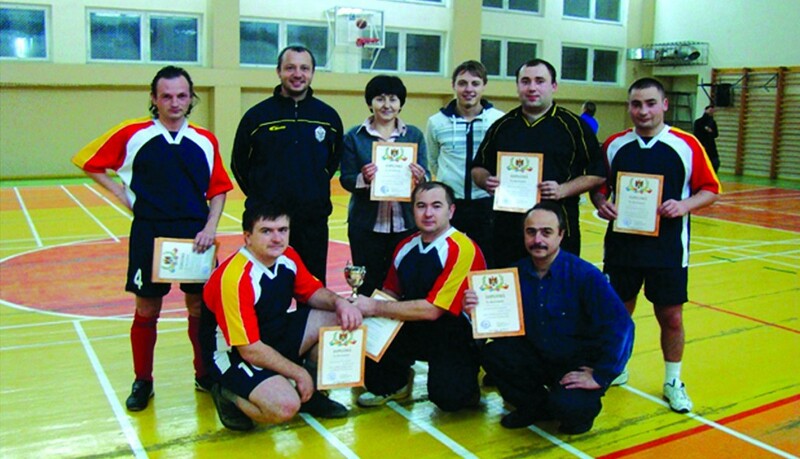 Subsequently, the team was coached by Olga VERGHIZOVA, senior lecturer. Performances are beautiful of the volleyball teams as well. In 1969, the women’s team, led by the coach Vladimir SIMINEL for the first time obtained the title of champion among higher education institutions, title maintain up to 1972. During this period, a large part of students were part of the squad lot of MSSR and BELITCAIA Tatiana, Olga BASCHIRTEVA and Ludmila BAZIUC were included into the USSR National Team. In the composition of the USSR squad BAZIUC L. won the title of European champion and was given the title “International Master of Sport”. The coach Tatiana COVALIOVA with the volleyball team, winner of the national university championships, edition of 2014. After 1989, the team is coached by Tatiana COVALIOVA, senior lecturer and obtains good results in the most prestigious competitions of basketball in the country and the best players of the team are part of the RM squad. Along with women’s volleyball team has grown also the men’s team. At various stages of development worked the coaches Vasile CEBAN, Vladimir SIMINEL, Constantin CERNEA, Eugeniu COROID etc. 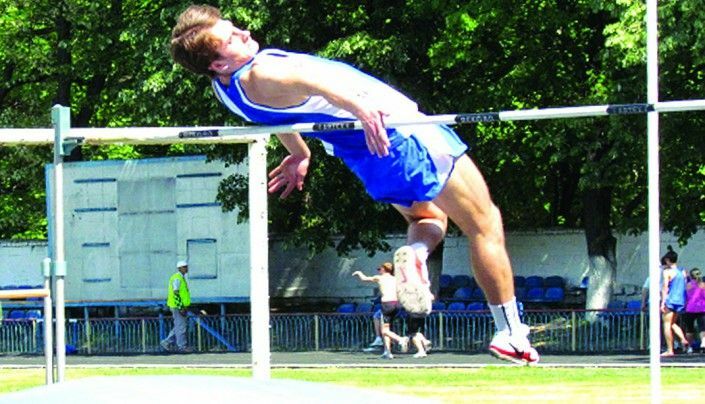 Along with obtaining the titles of champions and winners of MSSR championships, the students-athletes Mihail SINAISCHII, Anatolii PRISIAJNII, Alexandr OVCINICOV, Iurii LEVITCHII, Vladimir PEROV in the composition of MSSR lot evolved in the championships and the USSR Sports Contest. Currently, the team is coached by university lecturer, master of sports Tatiana GRABOVETCAIA, and senior lecturer, international volleyball referee, Veaceslav PROZOROV. In the 70s of the twentieth century, a particularly popular at the Polytechnic Institute had the handball. The Institute Championship took place between the 10 existing at that time faculties. 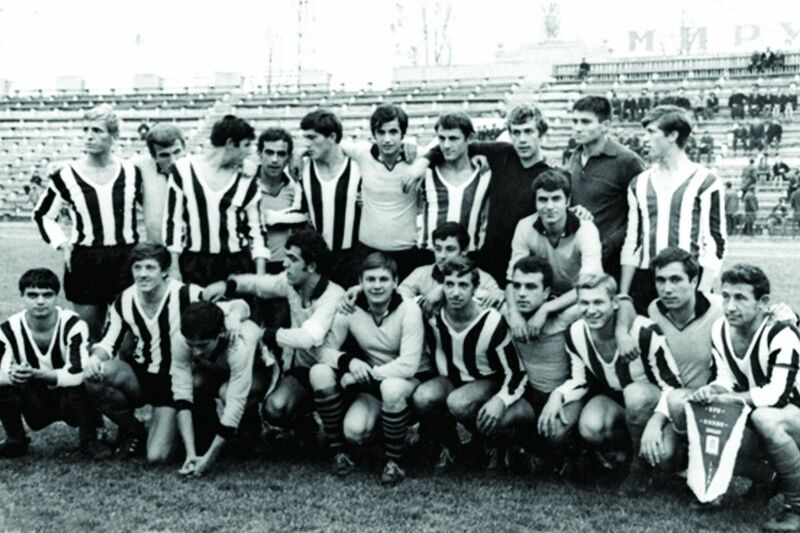 The coach Leonid MORARENCO with the team, won 7 times the champion’s title among higher education institutions. After the years 90s, a special role in maintaining traditions and the development of handball was played by the Physical Education Department teachers Boris POGONII and Vera URSACHI. In the 70s of a great success also was the gymnastics team of the institute, which in 1970 became the champion of MSSR among higher education institutions. A special role in the development of sport at all times is occupied by the queen of sports – athletics. Valeriu KACIANOV, International Master of Sports, was the USSR Cup holder, multiple champion and decathlon prize-winner of the USSR. Iurie IORDANOV, International Master of Sports, was the republic recordman in the 200m, finalist of the USSR Peoples Sports Contest 1979 in Moscow. 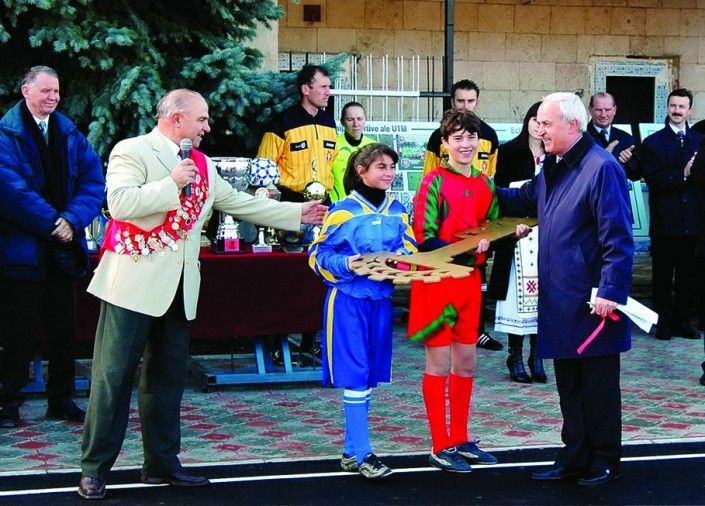 Gheorghii ZELENTOV (disc), Alexandru COMAROV (hammer), Anatolie BALAN, Eugen GORCIAC (spear) were all multiple champions and recordmen of the republic. In the period 1989-1992, the Department was divided into two Departments of Physical Education: one was ascribed to the Faculty of Mechanics and the other – FCGC. Currently, the Department is subordinated to the Faculty of Energetics and Electrical Engineering. During 1992-2007 as Head of the Department of Physical Education activated Petru RUSNAC. In 1992, the rector of the Technical University of Moldova was elected the univ. prof., dr.hab. Ion BOSTAN, who followed the best traditions put as a basis by the academician Sergiu RADAUTANU, further promoting the active mode of life and sustaining the performance sport among the studying youth, saying that after the process of study and research, the care for the health of students and collaborators through participation in physical exercise is paramount. The Department, after proclamation of the Republic of Moldova as a sovereign and independent state, has put considerable effort to implement the teaching programs in Romanian language, using the help of specialized institutions from Romania. Subsequently, due to the professionalism of teachers and coaches as well as students endeavor, the content of educational process suffered essential changes. 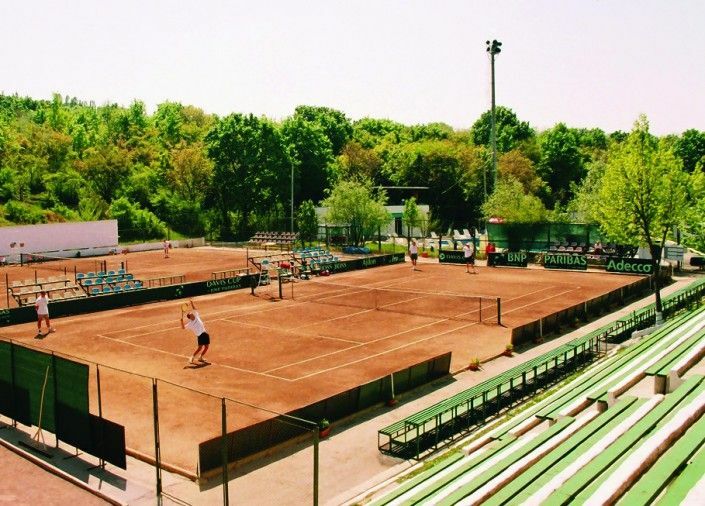 Nowadays, TUM is the only higher education institution in the country, which annually participates with 6-7 sports games teams in national championships organized by the profile National Federations. 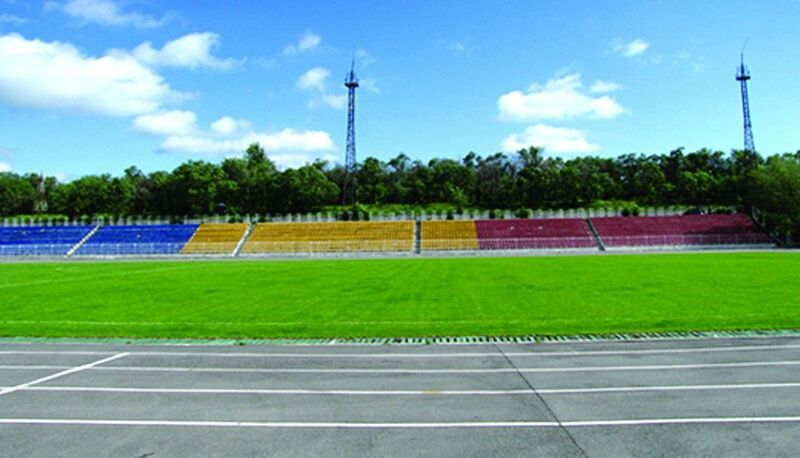 Due to a successful participation in the championships and national cups in football, basketball, rugby, handball, volleyball, badminton, athletics, table tennis, judo, sambo, freestyle wrestling and Greco-Roman, powerlifting, martial arts, orienteering sports, annually a series of students are summoned to the composition of RM lots to defend the country’s honor. Since December 2007, the department is taken by the doctor of pedagogy Anatolie Popusoi, honored trainer of RM, who from the first year of activity, has managed to impose himself to the colleagues from the Department through scientific organization of educational process and workouts. O atenţie deosebită se acordă anual elaborării de către profesori a lucrărilor metodico-ştiinţifice şi calităţii studiilor studenţilor-sportivi. Dumitru CAPTARI, weightlifting, third place – European Championship, juniors, Romania, 2011; III place – World University Championships, Israel, 2012; Gold Medal at the World University Championships 5-8 December 2014, Chiang Mai, Thailand. Marina ZGURSCAIA, pistol shooting – participant in the Olympics in 2012, London. 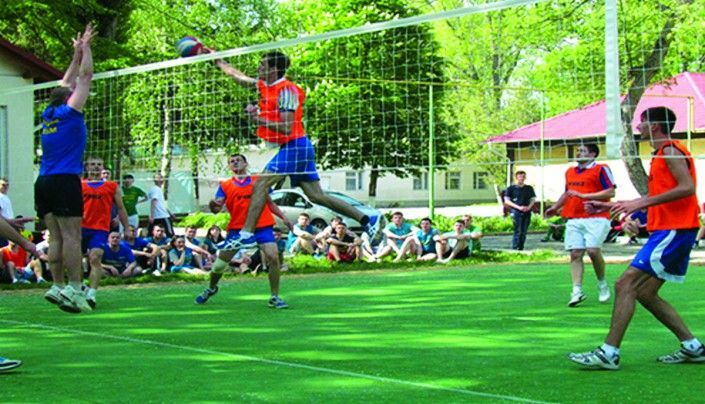 The Sports Base of the University provides favorable conditions for qualitative organizing of the training process at the discipline “Physical Education” as well as to improve the sport mastery of students and collaborators in many branches of sport. 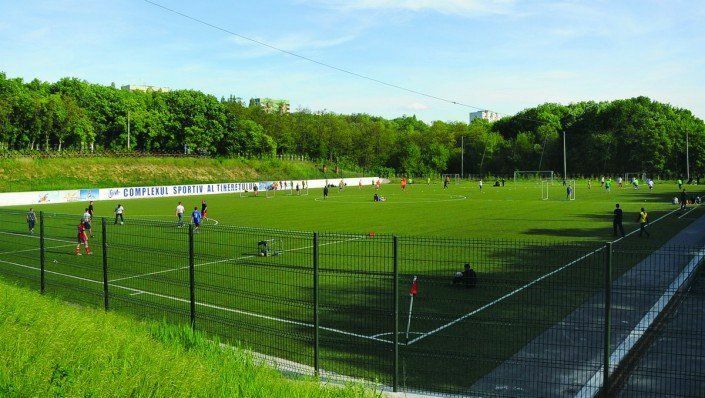 For example, TUM Youth Sports Complex, located at 2/2, Studentilor str., has two football fields with turf and artificial grass, tennis courts, volleyball court, jogging track with 8 lanes for runnung and sectors for jumping. Soon will be put into service two mini-soccer fields. the Centre for Leisure and Sport, 3/8, Studentilor str., has a gym, game room sports for basketball, volleyball, handball, badminton, table tennis, mini-football. Inside its premises take place the majority of the championships. In the gym at 4, Florilor str., is organized the training process for FTMFI, FEMET, FLI and in the gym from Botanica, bd. Dacia, 41 – for FCGC, FIEB, FUA. 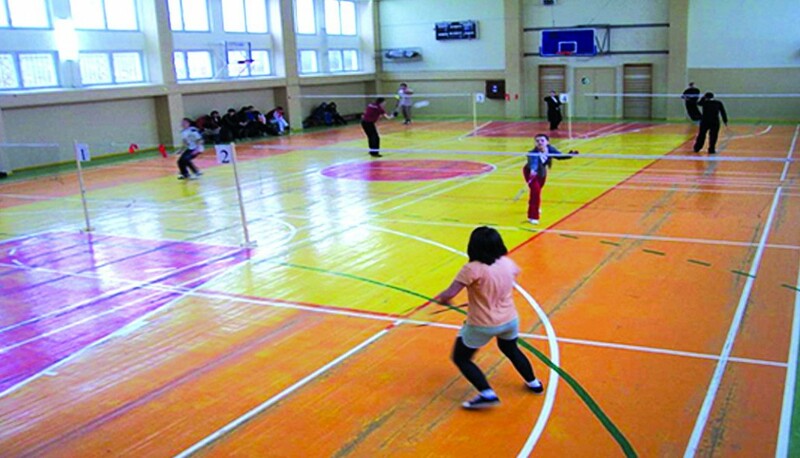 In the the last years a special attention is paid to mass sports competitions, in which students and teachers take place. 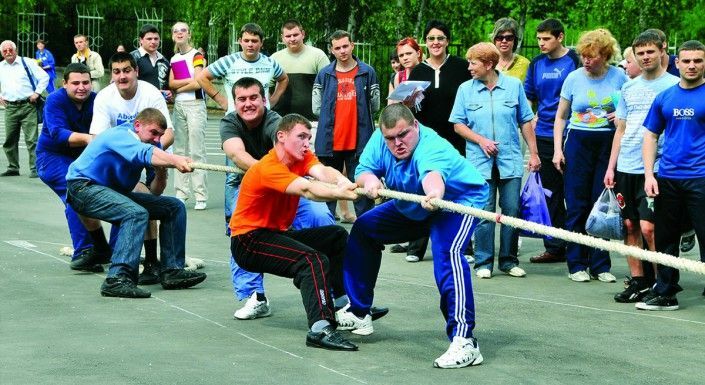 In the order to involve a maximum number of students, the Department of Physical Education, in agreement with the trade union committee (chairman Anatoly ALEXEI), and collaborators union committee (President Ion Pocaznoi) annually organizes competitions among lodgers of student hostels and teachers and collaborators. 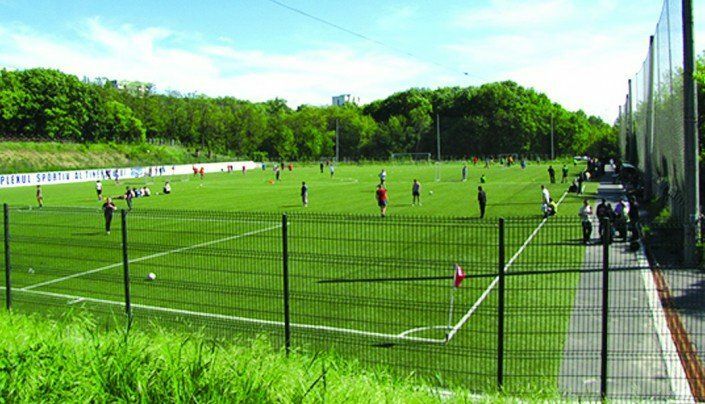 By diversifying the forms, methods and other components of the didactical and educational process the Department in agreement with the Sports Club of TUM aims to increase the number of students and collaborators practicing the active way of life, in order to maintain and strengthen health.